WHY ARE WE CERTAIN THAT BROTHER FELIX Y. MANALO IS THE FULFILLMENT OF THE PROPHECY REGARDING THE "OTHER ANGEL" ASCENDING FROM THE EAST? THE BELIEF THAT Brother Felix Y. Manalo is God’s messenger in these last days is one of the fundamental doctrines the Iglesia Ni Cristo (Church Of Christ) upholds. We believe that his commissioning as God’s last messenger is based on the words of God written in the Bible. There are key words in Revelation 7:2-3 that must be studied closely in order to acquire a clearer understanding of the prophecy in question. The first word that needs clarification is the term “angel.” There are people that when the word “angel” was mentioned, what immediately comes to their mind is the common concept that “angels” are heavenly beings and spirit in nature, traditionally portrayed as a human-looking being with wings on its back and a halo above its head. Thus, the word “angel” literally means “messenger” and does not denote the nature but the office of the one sent by God. Referring to John the Baptist, the Bible said, “Behold I send my angel before thy face.” It is clear here that John the Baptist was called an “angel.” Take note that Douay-Rheims is a Catholic version. Because the word “anggelos” indeed meant “messenger” that’s why many English versions of the Bible translated the “aggelon” of the Greek text of Matthew 11:10 as “messenger.” Thus, Douay-Rheims is not wrong in translating it as “angel” because the Greek word used by Matthew 11:10 (referring to John the Baptist) was also the same Greek word used by Luke 1:19 (referring to Angel Gabriel). Others accept that there are humans called “angel” in the Bible and this word literally means messenger. But they insist that the Book of Revelation used the word “angel” referring only to “heavenly beings.” Again, this belief is also based only on their own understanding and not on biblical facts. “And said: 'Cornelius! God has heard your prayer and has taken notice of your works of charity. Send someone to Joppa for a man whose full name is Simon Peter. He is a guest in the home of Simon the tanner of leather, who lives by the sea.' And so I sent for you at once, and you have been good enough to come. Now we are all here in the presence of God, waiting to hear anything that the Lord has instructed you to say." Peter began to speak: "I now realize that it is true that God treats everyone on the same basis. Apostle Peter is indeed a messenger of God, and remember that the word “angel” means “messenger.” Through an angel, God commanded Cornelius to send for Apostle Peter because he is the messenger that will preach to him the Gospel of the Lord. Thus, the messenger (angel) who is spirit in nature is sent by God to bring a specific message, and afterwards they will go back to heaven. The messenger (angel) who is human in nature is the one sent by God to preach to men the Gospel of the Lord. The seal is the Holy Spirit. The sealing function is the preaching of the Gospel of the Lord. Those who are sealed are the ones who believed in the words of truth or the Gospel of the Lord that were preached. Thus, the angel or messenger spoken of in Revelation 7:2-3 is not a being that is spirit in nature, but rather a human being who is a preacher of the Gospel. We already established the fact that the word “angel” means messenger” and denotes the office and not the nature of the one being sent, and that the messengers (angels) who are spirit in nature are those sent by God to bring a specific message and afterwards will go back to heaven, and the messengers (angels) who are human in nature are those sent by God to preach the Gospel of the Lord. The “other angel” of Revelation 7:2-3 is a messenger who bears the seal of the Living God and his task is to seal the servants of God, thus, this angel (messenger) is human in nature because the Bible testified that the “seal” is the Holy Spirit and that “sealing” is the preaching of the Gospel of the Lord. Thus, the one being prophesied in Revelation 7:2-3 is a MESSENGER FROM THE EAST sent by God having the seal of the Living God and tasked to preach the Gospel of the Lord. THAT BROTHER FELIX Y. MANALO IS THE FULFILLMENT OF THE “MESSENGER” PROPHESIED IN REVELATION 7:2-3? The Lord Jesus Christ, John the Baptist and Apostle Paul also came from the East. So, what make us certain that Brother Felix Y. Manalo is the fulfillment of the “another angel” (messenger) prophesied in Revelation 7:2-3? The Bible gave the specific time of the fulfillment of the prophecy mentioned in Revelation 7:2-3. In fact, the Book of Revelation also prophesied the events before and after Revelation 7:2-3 giving us a clearer understanding to identify the one being prophesied in Revelation 7:2-3. According to the Book of Revelation, when the “sixth seal” was opened there was a “great earthquake.” Although there were many “great earthquakes” happened in the past, but the Bible explicitly tells us that this “great earthquake” is followed by the “sun became black as sackcloth of hair,” the “moon became like blood,” and the “stars of heaven fell to the earth.” These distinguished the “great earthquake” of Revelation 6:12-13 from other earthquakes occurred in the past. Also, because of this “great war,” according to the Book of Revelation “The sky receded like a scroll, rolling up, and every mountain and island was removed from its place...” The “sky” or “heaven” mentioned by the Book of Revelation refers to the “heavens of men” (Lev. 26:19), and the “glory of the kings” (Is. 14:18). The “mountains that were removed” refers to “kings” (Rev. 17:9-10). The prophecy indeed came to pass. The emperor of Russia, Austria and Germany were dethroned, and also the kings of Greece and Bulgaria, because of the First World War. Also, the government of these nations was changed (Modern Times and the Living past, p. 687). The “islands” that were “removed from its place” were the “colonies.” The colonies of Germany in the Pacific were transferred to Japan and England after the Great War (M.T.L.P., pp. 707-707). Thus, the “great war” referred to by the biblical prophecies is the “Great War of 1914-1918” also called as First World War (WWI). Four angels standing at the four corners of the earth “keeping back the four winds in their hands.” Truly, the Bible is referring to the “wind at four corners of the earth.” The “four corners of the earth” refers to the “four directions of the earth” (I Chron. 9:24). Thus, “the wind of the four corners of the earth” is referring to the war at the four corners of the earth or a world war. These leaders of four great nations were collectively called by history as the “Big Four.” They met at Paris in 1919 to talk about the Treaty of Versailles. The “other angel” ascending from the east was a contemporary of the “four angels.” These make us more certain that Revelation 7:2-3 was not referring to the Lord Jesus Christ, nor other messengers of God from the past. John’s preaching was contrary to what the people believed during his time. Hence, his preaching was likened to a “CRY in the wilderness” – a lone and righteous voice among the multitudes of his time. In like manner, the function of the angel ascending from the east having the seal of the living God was to seal the servants of God in their foreheads for their salvation, whereas the work of the “four angels” had something to do with destruction. The Bible also explicitly mentioned that the “other angel” is “ASCENDING from the East” when the “four angels” was seen holding back the “four winds of the earth.” So, during the time when the Big Four met in Paris in 1919, the work of the “other angel” was already “ascending.” The prophecy indeed came to pass. 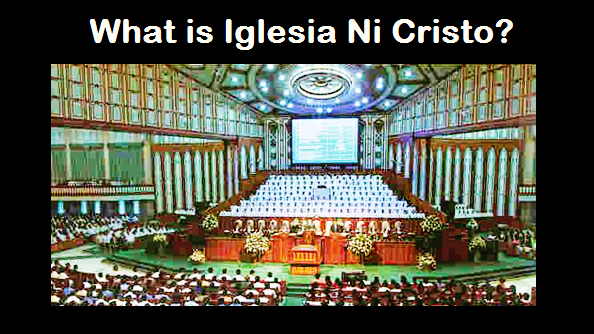 In the year 1919 (five years after the Church was registered in the Philippine government on July 27, 1914), there were already 21 local congregations of the Iglesia Ni Cristo (Church Of Christ) throughout the City of Manila and the provinces of Rizal, Bulacan, Nueva Ecija and Pampanga. The young Church was already spreading throughout Luzon (Northern Philippine) which already attracting attention. Thus, the fulfillment of the events prophesied that will occur before and after Revelation 7:2-3 give us certainty that Brother Felix Y. Manalo was indeed the fulfillment of the “other angel” ascending from the east prophesied in this verse.